In a long-rumored move, NYCFC President Tom Glick is stepping aside, to return to City Football Group's headquarters in England. Today, the club made it official, introducing his replacement. 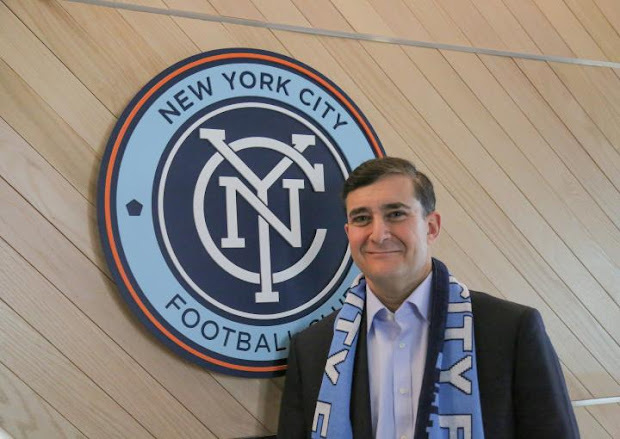 New York City FC is delighted to announce the appointment of Jon Patricof as its new President. Patricof, the former President and COO of Tribeca Enterprises, parent company of Tribeca Film Festival and related activities, will take up the post in March, prior to the start of NYCFC’s second season in Major League Soccer (MLS). NYCFC President Tom Glick will continue in his role until March and will remain in New York through Spring 2016, working with Patricof in the early months of transition. Glick will, later in the year, assume a role overseeing commercial activities across the whole City Football Group. Patricof, a native New Yorker, helped to develop Tribeca Enterprises over the last 11 years into a globally recognized media company, growing the Festival into a major New York and global institution. He has spearheaded numerous landmark partnerships including an investment by Madison Square Garden into Tribeca in 2014 and the Tribeca/ESPN Sports Film Festival, a very successful multi-year partnership with ESPN. Previously, he was an executive in the Strategic Planning Department at The Walt Disney Company. He will report to Ferran Soriano, CEO of City Football Group and Managing Director of NYCFC, who oversaw the recruitment process in consultation with Vice Chairman Marty Edelman and the wider NYCFC board. On the surface, I really like this hire. A president with connections in the city's cultural, financial and political elite. 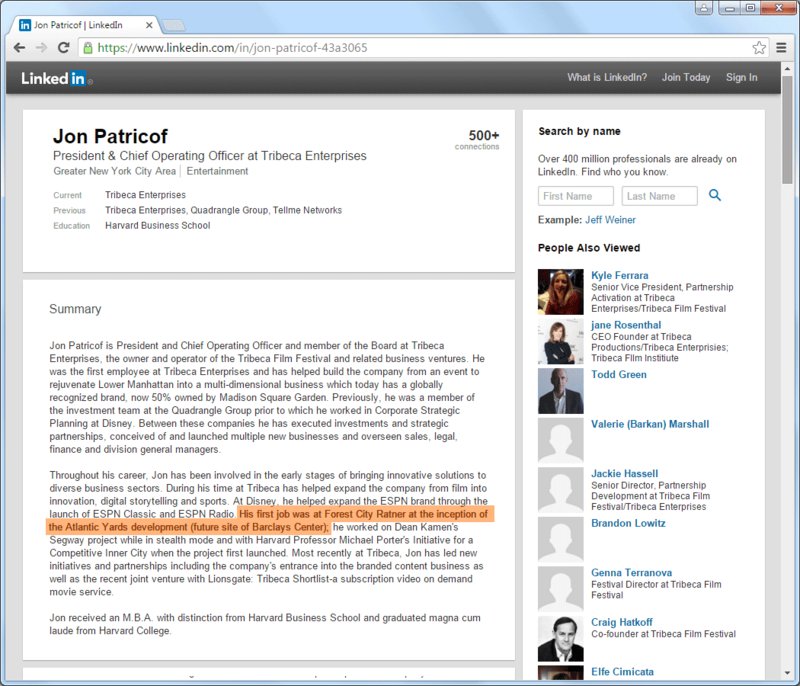 Patricof states on his LinkedIn profile that his first job "was at Forest City Ratner at the inception of the Atlantic Yards development." Sure does, and that's a great catch. Barclays Center was an incredibly difficult project to develop. It faced local opposition, legal challenges, political ineptitude if not indifference, and many others. It finally opened six years behind their original schedule, but it did open. 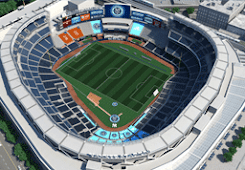 Patricof seems as well positioned as anyone to finally secure a stadium site within the five boroughs.